Phlebotomy Sharps Collectors BUY Phlebotomy Sharps Disposal, 1.5 Quart Sharps Collector, Becton Dickinson Sharps Collectors, 305487, BD Phlebotomy Waste Collectors. Phlebotomy Sharps Collector with red base and clear top. 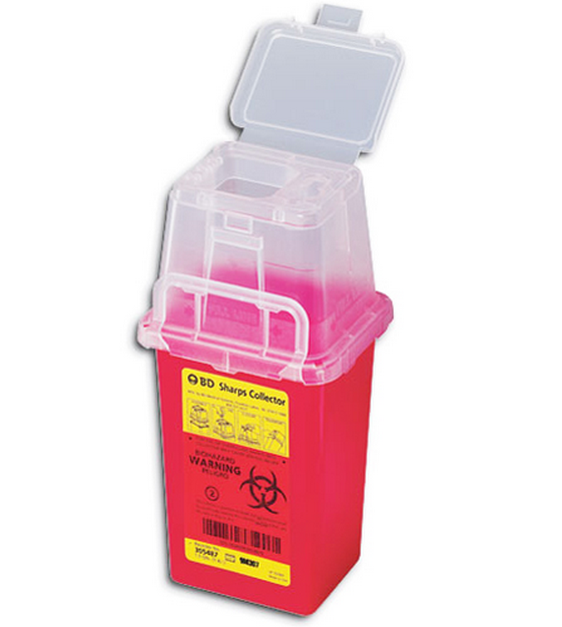 These Phlebotomy Sharps Collectors offer temporary closures and needle removal ports. The trim design fits well with trays or bags. These robust sharps collectors are pre-assembled and offer a patented one-way funnel valve to help prevent needle-stick and overfilling. Removal ports easily remove needles from syringes and blood collection devices. 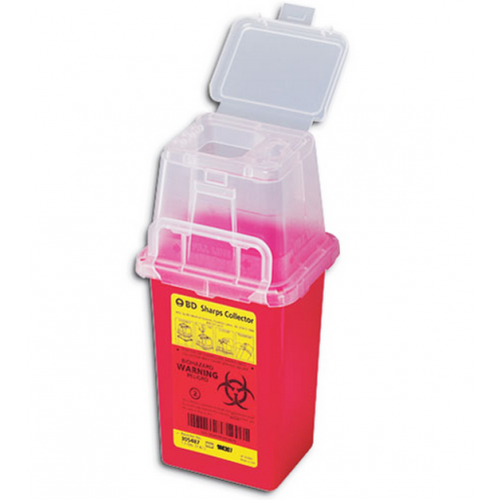 Helps prevent contact with sharps for safe disposal. HOW DO YOU OPEN THIS CONTAINER AND ASSEMBLE?